In the autumn of 1975, David Bowie was immersed in the alien character of Thomas Newton in Nicholas Roeg’s film The Man Who Fell to Earth. He was also addicted to cocaine, suffering delusions, and by accounts of those close to him at the time, seemingly near to breakdown. It’s all a bit hard to take in, considering that during this period of his life he produced what I consider his best work, the album Station to Station – though his flirtation with fascism makes me uncomfortable. The music is magnificent though; powerful, unsettling, emotional. Stylistically it is an amalgam of the the funk of Young Americans and the rock which preceded it; though saying that does no justice to the fact that Bowie had moved on from both. The title itself is a pun – the track opens with white noise and chuffing train noises, a radio tuning, a train travelling. Bowie is mentally travelling too, too fast for safety. Earl Slick’s guitar is frenetic and urgent. The album is cold in feel, perfectly suited to the stark mostly black and white cover, but humanised by the two softer ballads which conclude each side on the original vinyl release: Wild is the Wind and Word on a Wing. Some of this deserves a little explanation. Why is the “1985 CD master” included? This would be the first CD release, on RCA. and sought after by collectors. The reason for the popularity of these early CDs is that in general they sound closer to the original vinyl records. Bowie’s back catalogue has been remastered many times, but all the later CD versions sound quite different, from the over-bright Ryko issues to the noise-reduced later efforts. I guess someone noticed that some fans still seek out the RCA CDs and decided to include it here. The concert from the Nassau Coliseum was a famous bootleg called The Thin White Duke, though it is to be hoped that the sound quality here will be superior. It is a great concert, and better than any of the other official live material in my opinion. Very nice; but I find myself rather irritated by this release. 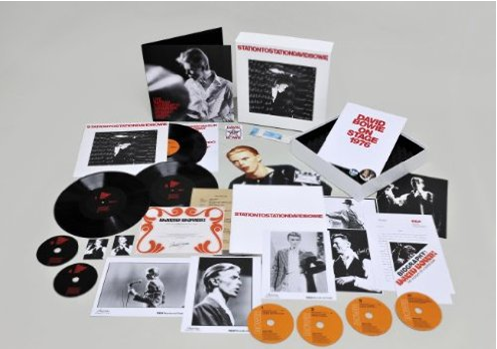 Although there will also be a CD release with the remastered Station to Station and the Nassau Coliseum concert, much of the material is unique to the big box. In particular, the high resolution stereo, the new surround sound mix, and the new stereo remix. Fans who want to hear these also have to purchase the rest of the box, even though they might not have a record player for the three vinyl records, for example. It’s annoying if like me you are mainly interested in the music. Another disappointment is the absence of any true rarities. Many of us would like to hear the unused soundtrack Bowie created for the Man Who Fell to Earth, for example. Nevertheless, there’s a lot here to look forward to – if you can live with feeling somewhat exploited as you open your wallet for this super-deluxe, super-expensive box containing material some of which you have most likely bought at least once before. Previous PostHow infectious is the GPL? Battle of words between WordPress and ThesisNext PostWhy is there so much junk in Apple’s App Store? You have written a brief, but wonderful review of one of all-time favorite Bowie albums. You captured its essence perfectly. I agree with you that they SHOULD have included that elusive soundtrack from TMWFTE with this set. I want to buy this, but the price is, as you said, a bit much, considering I don’t want the vinyl. Again, thank you for that incredibly well-done piece. 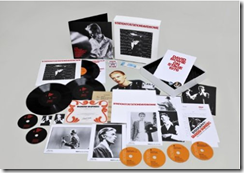 Bowie Collectors would still want the original rca cd so there is no point including a copy. There should have been a blu-ray disc included in the box set. The station to station cd should have been a dual disc with the surround sound mixes included for a fair price. i will still buy these reissues and file them away. hopefully there will be the ultimate berlin triology soon.